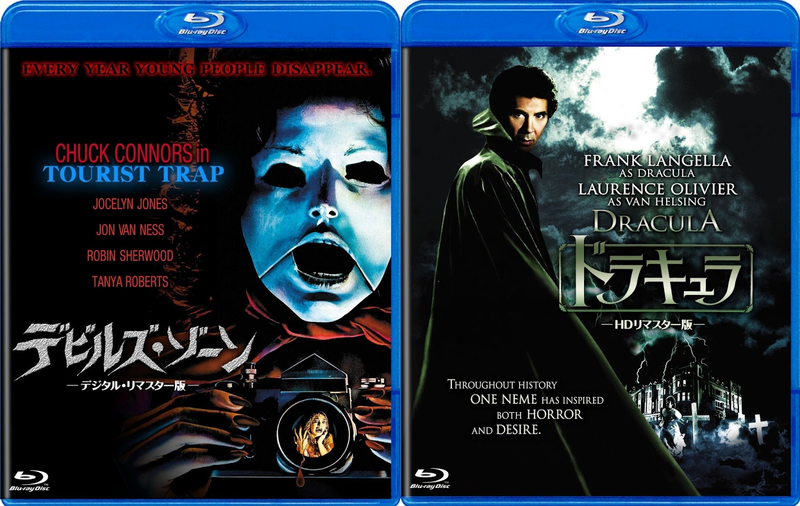 Happinet is set to debut From Beyond (1986) and Dolls (1987) on August 2nd, Flesh for Frankenstein (1973) and Tourist Trap (1979) on September 9th, Blood for Dracula (1974) and Dracula (1979) on October 2nd, and Halloween II (1981) and Castle Freak (1995) on November 2nd onto Blu-ray. Each sport 1080p transfers in their respective aspect ratios and English DTS-HD Master Audio 2.0 tracks (English 5.1/2.0 DTS-HD MA for Halloween II). Supplemental material for From Beyond nearly mirrors MGM's Special Edition DVD including a Stuart Gordon interview, Richard Band interview, Editing Room featurette, and theatrical trailer (absent is the audio commentary). Dolls includes an exclusive Stuart Gordon interview and theatrical trailer. Supplemental material for Tourist Trap mirrors the Full Moon/Koch Media DVD with an audio commentary and interview with David Schmoeller and theatrical trailer. Dracula '79 appears to have zero supplements (not even a theatrical trailer). Supplemental material for Flesh... and Blood... mirror the now out-of-print US Image Entertainment DVDs with audio commentaries by Paul Morrissey, Udo Kier, and film historian Maurice Yacowar, screen tests (w/ commentary by Morrissey), photo galleries (w/ commentary by Morrissey). 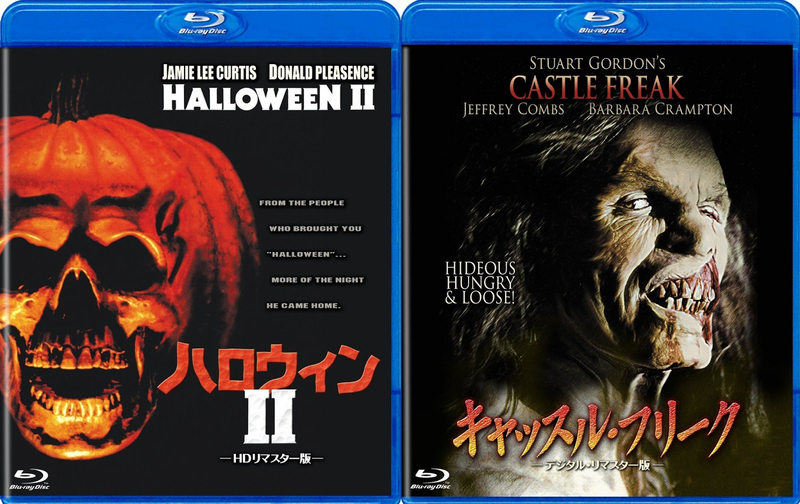 Supplemental material for Halloween 2 represents a stripped down version of the stateside Shout Factory Blu-ray with Deleted Scenes, Alternate Ending, TV/Radio Spots, and theatrical trailer while Castle Freak mirrors the Full Moon DVD with Videozone featurette and trailer. Thanks for all the info! What about the picture quality of TOURIST TRAP and is it missing 5 minutes like the US and UK BDs?